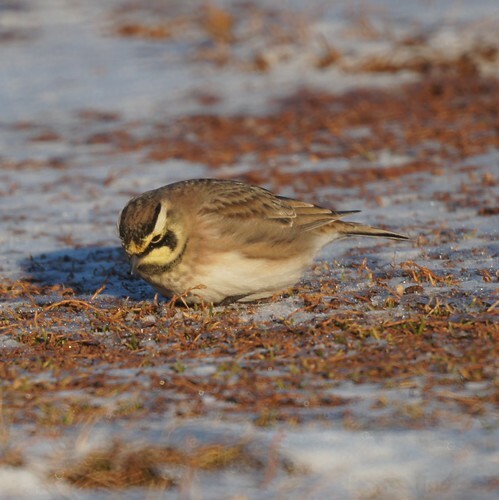 Here's a new bird to us: The horned lark. They prefer very short grass. 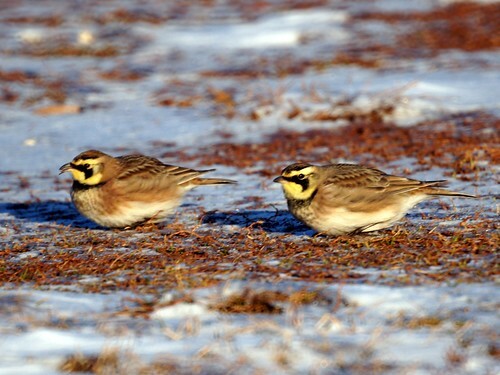 and when it snows, they congregate on patches that have no snow.